Desc: Landstrom's Black Hills Gold Sterling Silver butterflies necklace. Three butterflies dangle from the chain. 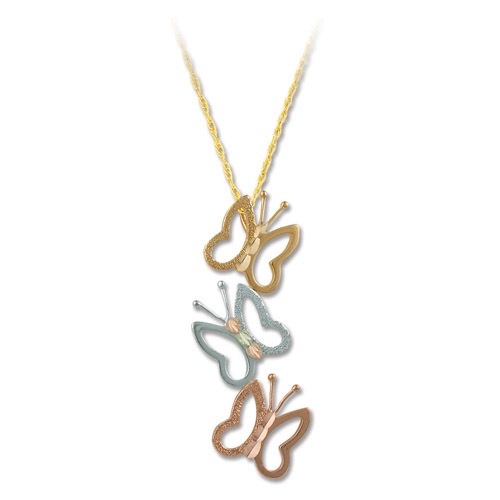 Each butterfly is fashioned from the three colors, yellow gold, rose gold and silver. Rose and green gold leaves are mounted as accents.